I had a request from a viewer several months ago to address this question. The most common version of this question I hear from my workshop students is, "What do I do now?" This is a difficult question for me to answer because I have never been stuck on a painting. Somehow I am always able to move forward. I think there are two main approaches to answering the question. The first is to have intentions for your painting before you begin. The second is to have some baseline criteria to use in evaluating your work. I believe you should always have intentions when beginning a painting. These intentions can be very simple. Maybe you just want to investigate a green and red complementary color combination. If you get "stuck", then you can revisit your intentions to help clarify how to move forward. Having a baseline set of criteria for evaluating one's work is something that is very important to me, and I think it helps me to not get stuck. 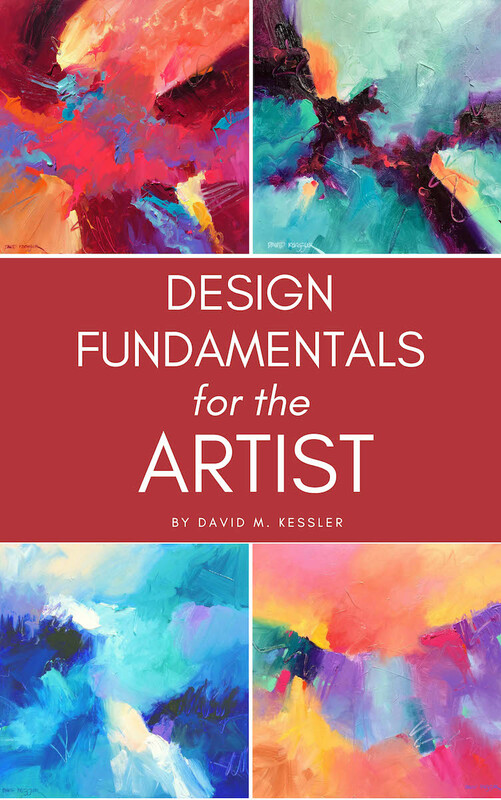 I base most all my decisions on painting on these five design fundamentals, and they act as my baseline: shape, value, color, edges and center of interest. I believe these are the most objective of the design fundamentals, and thus easier to evaluate in the work. If I need to move forward in a pice, I take a few minutes to analyze each of these fundamentals to see what may be lacking, or what may be keeping me from moving forward. Shapes. do the shapes interlock and overlap with the adjacent shapes? Are the shapes different sizes? Does the color or value change across the shape? Value: If I take a black and white photo of the painting, do the values in the piece match my typical 4 value system (light, light middle, dark middle, dark)? Do the values distinguish the shapes one from another? Do I have adequate value contrast at my center of interest? Color: Do my colors conform to the color combination that I chose when beginning the painting? Are they harmonious? If not, then why? Do I have adequate color contrast where needed? Edges: Do I have a variety of edges? Do I have hard edges that make my center of interest pop, and enough soft edges that my eye can move through the painting? Do I have too many hard edges? Can I soften some areas to refocus the center of interest? Center of Interest: Does the center of interest pop? Is it interesting enough? Does it hold my attention? Are there hard edges there? Is there value and color contrast there? Is it more important than the other areas of the painting? Before you make another painting, try to have both intentions, and a baseline system of criteria that you can use to keep yourself from getting stuck.